Speedliner® is manufactured by Industrial Polymers Corporation, a leader in the protective coatings industry. 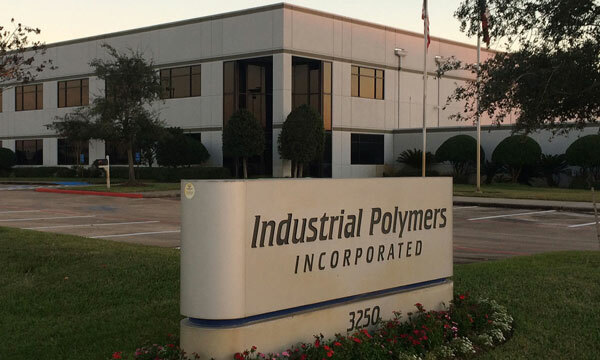 Speedliner® is among a wide range of urethane products and specialty materials produced by Industrial Polymers Corporation at its state-of-the-art, 51,000 square foot Houston, TX manufacturing facility. The company is recognized as a research leader in the worldwide protective coatings industry, and holds numerous patents for polyurethane compound production processes. Since 1984, Industrial Polymers’ laboratories have created numerous breakthroughs in polymer technology which have lead to the production of extreme performance coatings for a wide range of automotive, industrial, marine and military equipment applications. Client: U.S. Air Force – Developed anti-abrasive compounds for F-16 fighter jet air intake systems. Extreme conditions: highly abrasive supersonic particles; high range of operating temperatures. Imagine what Speedliner® Spray In bedliner can do for you. Client: Shell Oil Company – Created protective coating for the Auger Net used under Shell’s offshore drilling platforms to prevent ships from drifting into drilling equipment. Extreme conditions: abrasive contact with offshore vessels; exposure to corrosive chemicals from drilling sludge; seawater corrosion. Spray In bedliners can be used for many applications. Client: U.S. Navy – Formulated coating for naval buoys and boat fenders. Extreme conditions: abrasive contact with marine vessels; corrosion from seawater. Spray in bedliners that are Navy tough! Clients: Offshore Oil & Gas Exploration Companies – Created protective compounds for rotary table impact pads on offshore drilling platforms. Extreme conditions: constant impacts and abrasion from drill bits and sections of drill pipe; exposure to corrosive chemicals from drilling sludge; seawater corrosion. Spray in bedliner solutions from Speedliner® are the most durable. The care and attention given by Industrial Polymers to the development and production of their line of specialty coating compounds has been carried forward into their day-to-day support to the Speedliner® dealer system. There are more than 20 brands of spray liner systems, and most present themselves to be “high-quality basic producers” of their products. However, the vast majority these companies simply buy the products they sell from chemical wholesalers, re-label the containers, and then resell the materials as their own. They rely on others to produce their products. They are also forced to rely on others for quality control. Having no control of the manufacturing process, these other liner companies, in fact, cannot control the quality of their products or its ultimate performance over time. Both the catalyst and resin of Speedliner® are manufactured by Industrial Polymers under the most stringent of quality controls. We make sure that every ounce of Speedliner® meets or exceeds our customers’ high expectations. When you select Speedliner® as your protective coating, you can be assured of receiving a top quality product that will stand up well over time. Speedliner® was invented by Industrial Polymers in 1995 as a spray-on truck bed liner product for light duty pick-up trucks. Spray-on bed liners offer a custom appearance unlike drop-in plastic truck bed liners. 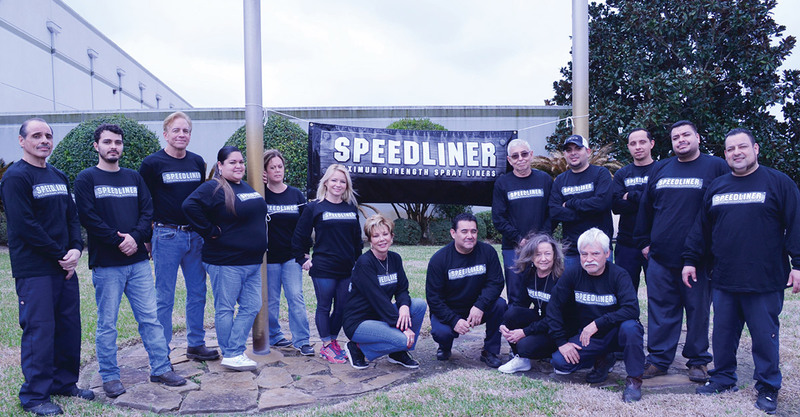 Many new car dealerships and truck accessory retailers have found Speedliner® to be a unique and profitable addition to their existing business. We provide on-site training, customer referrals, technical and promotional support to more than 2,000 Speedliner® dealers worldwide. Speedliner® is used in applications where a flexible rubber coated surface is needed to resist abrasion, impact and corrosion over metal, fiberglass or masonry surfaces. It offers easy mixing and simple spay-on application through a low cost gravity feed hopper spray gun or may be applied by brush or paint roller. Speedliner® can be mixed with sand and or aluminum oxide grit additives to provide an aggressive non-skid surface. It can also be used with our Kevlar™* fiber additive to improve cut and tear resistance. Speedliner® is packaged in convenient one gallon containers complete with 1-quart activator and your choice of 18 color options. *KevlarTM is a registered trademark of the EI Dupont Corporation.